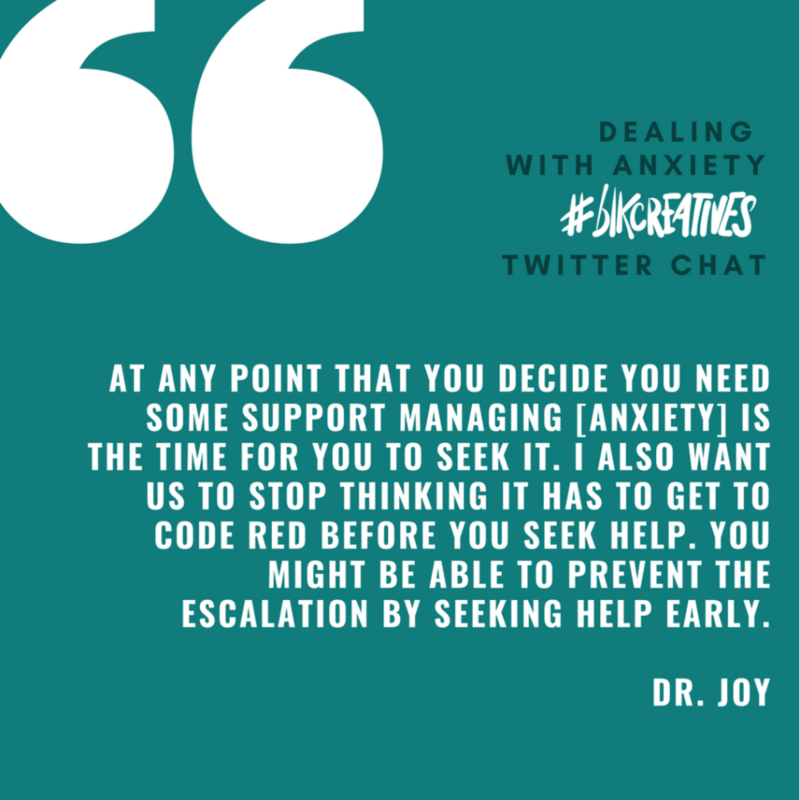 As the Founder of Therapy For Black Girls (including the national directory of Black women therapists), Dr. Joy Harden Bradford works relentlessly to ensure that Black women are taking care of their mental health. 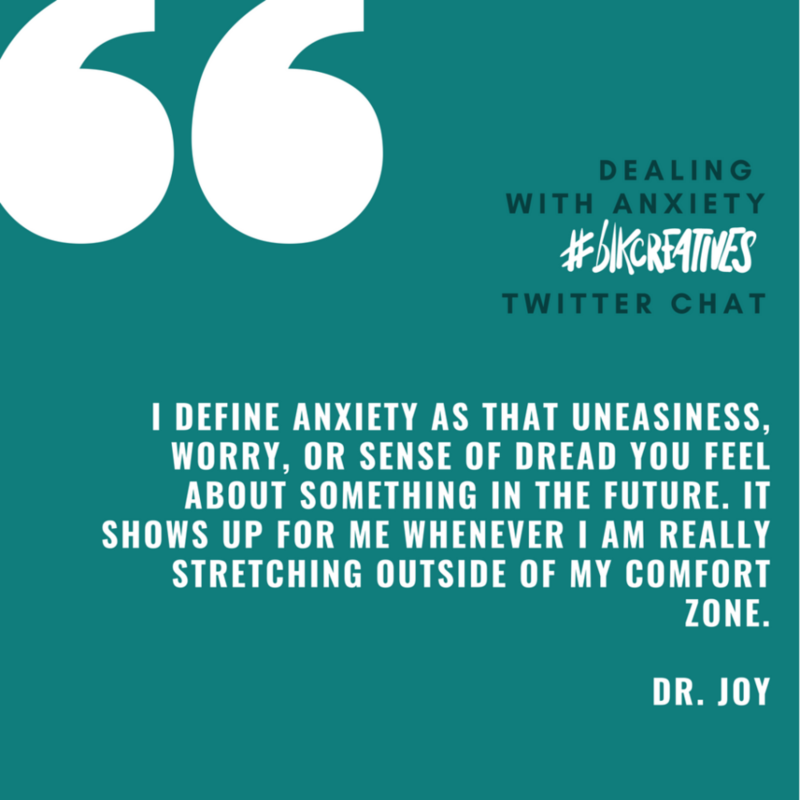 Her involvement in ‘Dealing With Anxiety’ #blkcreatives Twitter chat was a no-brainer. Read on to find out why. Some of the ways you can tell is when it prevents you from going after opportunities you’d like to go after or if it interferes with functioning (frequently missing work, isolating yourself, etc.). The awareness is important because it can help you to develop strategies to minimize the impact it has on your life. Finding some good mindfulness and meditation practices to do regularly might be very helpful. Yes! The key is to practice regularly so that when you really need it, it’s easier to access. 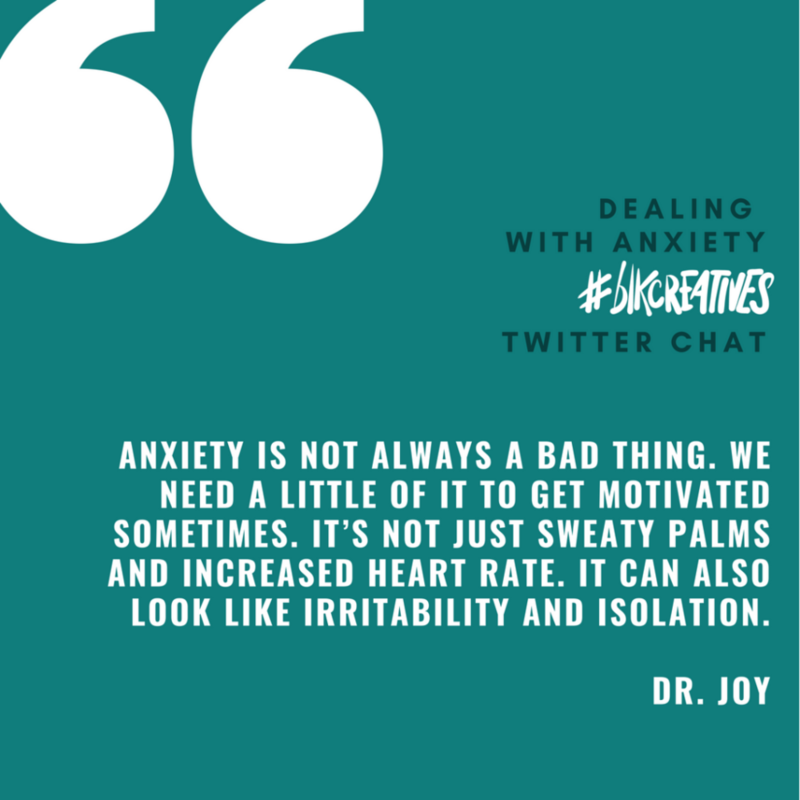 Podcast episode all about managing social anxiety —->http://therapyforblackgirls.com/session64 .